Hey guys! We've made it to Friday. With the new year just around the corner I thought it would be a good time to talk about skincare again. A lot of people tend to make weight loss or healthy living resolutions, but I think the new year is a great time to make a skincare pact. Like any pact or resolution, choosing a simple goal can be the difference between your success or failure. If you are considering making a skincare resolution, start simple with something like "I will make a point of removing my makeup every night before bed." Unlike having an extensive multi-step routine, taking off makeup before bed requires minimal time, and offers a great reward. 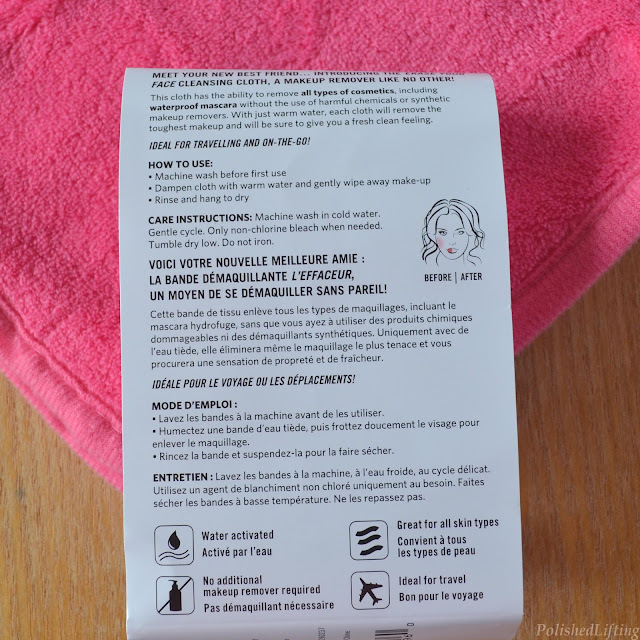 Today's post features Erase Your Face, a gentle microfiber cloth that can help you achieve your skincare goals. 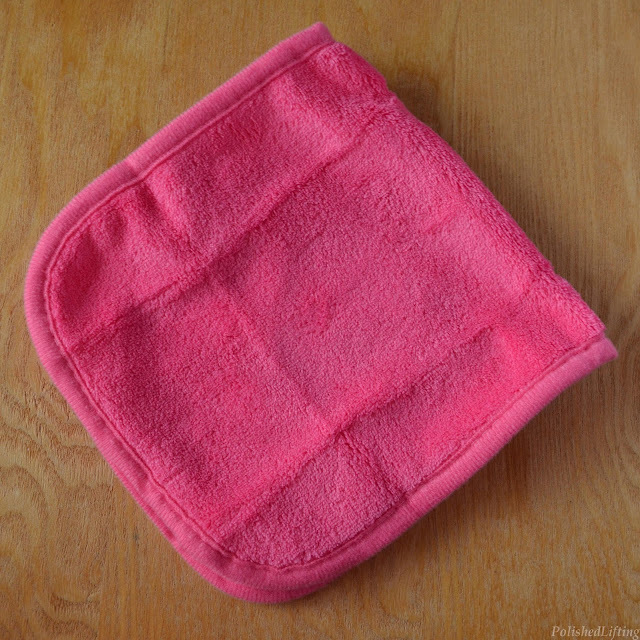 Erase Your Face is a reusable makeup removing cloth that requires no soap or makeup remover. You simply run it under water and then gently massage off your makeup. I will admit that this sounded a little too good to be true. 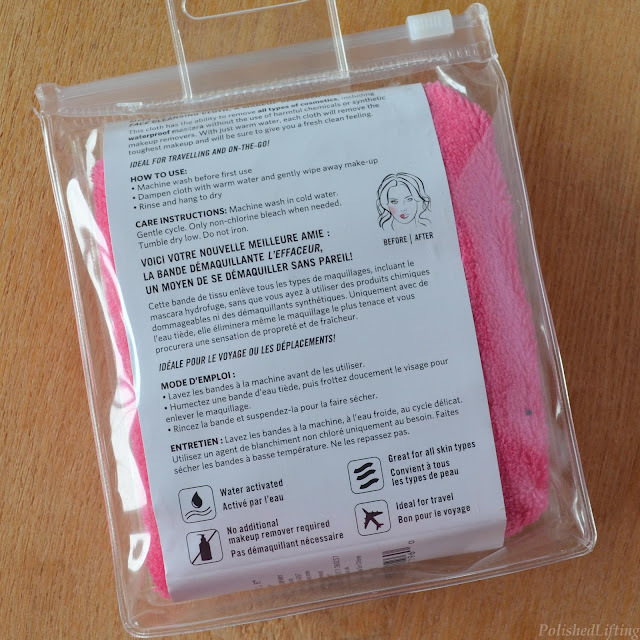 My waterproof eyeliner and mascara won't budge when I try to remove it with a normal washcloth, so I was expecting the same difficulty. While I won't call this a miracle product, I will say that it removed all of my waterproof makeup. It took a little bit of scrubbing, but it was doable. There are two major downsides to this product. 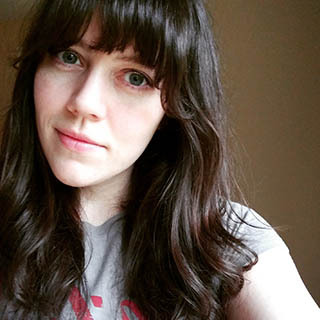 Every time I removed makeup I found little pink fuzzies around my face and eyes. I've even found said fuzzies in my eye, which isn't great when you wear contacts like I do. My other major beef with this product is how much effort (scrubbing) is required for removal. We all know that physical exfoliation is not great for your skin. It can cause premature wrinkles and bust capillaries, both of which we are all trying to avoid. 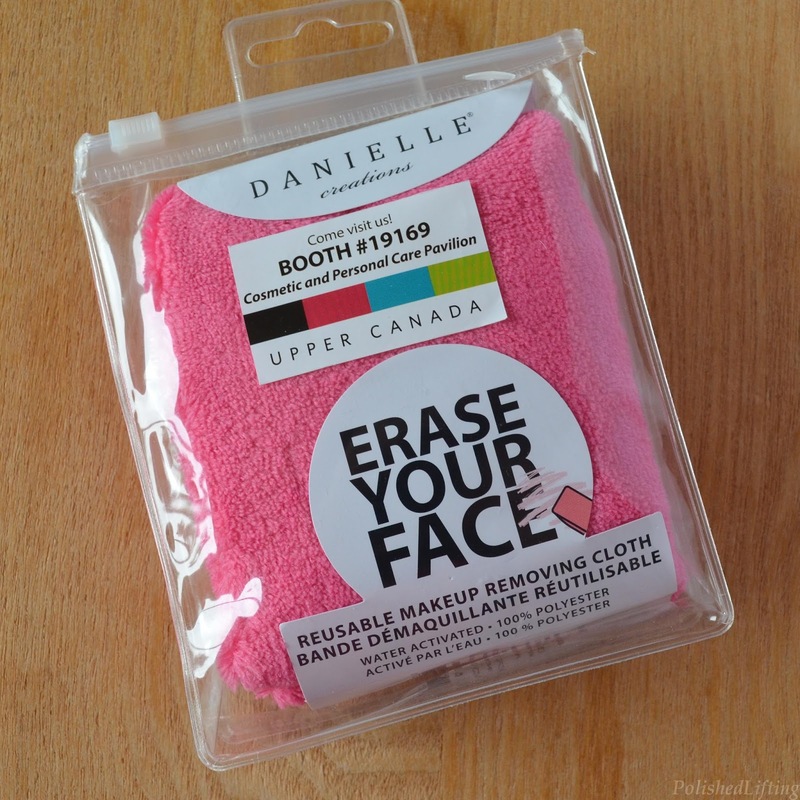 The upside of Erase Your Face is that it is reusable and doesn't require makeup remover. That means it's safe for sensitive skin and it's environmentally friendly. I've washed my cloth several times and the makeup comes out of it completely without needing extra care. When it comes down to it, I think Erase Your Face is a great product for people with sensitive skin or those who want to be environmentally friendly. Personally speaking, I think will stick with my oil based makeup remover balm. If you would like to purchase an Erase Your Face cloth you can find them on the Upper Canada website.